Critics of capitalist finance tend to focus on its speculative character. Our financial markets, they lament, encourage irresponsible bets on the future that reflect no real underlying value. Why is it, then, that opportunities for speculative investment continue to proliferate in the wake of major economic crises? 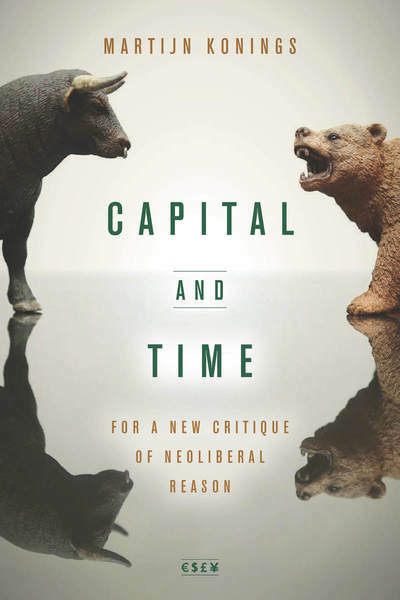 To make sense of this my latest single-authored book Capital and Time: For a New Critique of Neoliberal Reason advances an understanding of economy as a process whereby patterns of order emerge out of the interaction of speculative investments. Progressive critics have assumed that the state occupies a neutral, external position from which it can step in to constrain speculative behaviors. On the contrary, my argument is that the state has always been deeply implicated in the speculative dynamics of economic life. Through these insights, my book offers a new interpretation of both the economic problems that emerged during the 1970s and the way that neoliberalism responded to them. Neoliberalism’s strength derives from its intuition that there is no position that transcends the secular logic of risk, and from its insistence that individuals actively engage that logic. Not only is the critique of speculation misleading as a general approach; it is also incapable of recognising how American capitalism has come to embrace speculation and has thus been able to generate new kinds of order and governance.